Synopsis: The fifth and final episode in the Planet of the Apes series. After the collapse of human civilization, a community of intelligent apes led by Caesar lives in harmony with a group of humans. 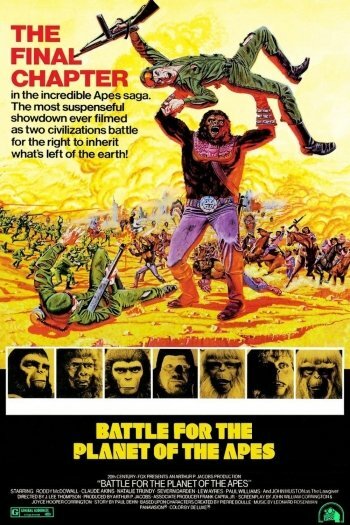 Gorilla General Aldo tries to cause an ape civil war and a community of human mutants who live beneath a destroyed city try to conquer those whom they perceive as enemies. All leading to the finale.